Maurice Ralph Hilleman (August 30, 1919 – April 11, 2005) was an American microbiologist who specialized in vaccinology and developed over 40 vaccines, an unparalleled record of productivity. Of the 14 vaccines routinely recommended in current vaccine schedules, he developed eight: those for measles, mumps, hepatitis A, hepatitis B, chickenpox, meningitis, pneumonia and Haemophilus influenzae bacteria. He also played a role in the discovery of the cold-producing adenoviruses, the hepatitis viruses, and the cancer-causing virus SV40. He is credited with saving more lives than any other medical scientist of the 20th century. Robert Gallo described him as "the most successful vaccinologist in history". Hilleman was born on a farm near the high plains town of Miles City, Montana. His parents were Anna and Gustav Hillemann, and he was their eighth child. His twin sister died when he was born, and his mother died two days later. He was raised in the nearby household of his uncle, Robert Hilleman, and worked in his youth on the family farm. He credited much of his success to his work with chickens as a boy; since the 1930s fertile chicken eggs have often been used to grow viruses for vaccines. His family belonged to the Lutheran Church–Missouri Synod. When he was in the eighth grade, he discovered Charles Darwin, and was caught reading On the Origin of Species in church. Later in life, he rejected religion. Due to lack of money, he almost failed to attend college. His eldest brother interceded, and Hilleman graduated first in his class in 1941 from Montana State University with family help and scholarships. He won a fellowship to the University of Chicago and received his doctoral degree in microbiology in 1944. His doctoral thesis was on chlamydia infections, which were then thought to be caused by a virus. Hilleman showed that these infections were, in fact, caused by a species of bacterium, Chlamydia trachomatis, that grows only inside of cells. After joining E.R. Squibb & Sons (now Bristol-Myers Squibb), Hilleman developed a vaccine against Japanese B encephalitis, a disease that threatened American troops in the Pacific Ocean theater of World War II. As chief of the Department of Respiratory Diseases at Army Medical Center (now the Walter Reed Army Institute of Research) from 1948 to 1957, Hilleman discovered the genetic changes that occur when the influenza virus mutates, known as shift and drift. That helped him to recognize that a 1957 outbreak of influenza in Hong Kong could become a huge pandemic. Working on a hunch, after nine 14-hour days he and a colleague found that it was a new strain of flu that could kill millions. Forty million doses of vaccines were prepared and distributed. Although 69,000 Americans died, the pandemic could have resulted in many more deaths in the United States. Hilleman was awarded the Distinguished Service Medal from the American military for his work. In 1957, Hilleman joined Merck & Co. (Whitehouse Station, New Jersey), as head of its new virus and cell biology research department in West Point, Pennsylvania. It was while with Merck that Hilleman developed most of the forty experimental and licensed animal and human vaccines with which he is credited, working both at the laboratory bench as well as providing scientific leadership. In 1963, his daughter Jeryl Lynn came down with the mumps. He cultivated material from her, and used it as the basis of a mumps vaccine. The Jeryl Lynn strain of the mumps vaccine is still used today. The strain is currently used in the trivalent (measles, mumps and rubella) MMR vaccine that he also developed, the first vaccine ever approved incorporating multiple live virus strains. He and his group invented a vaccine for hepatitis B by treating blood serum with pepsin, urea and formaldehyde. This was licensed in 1981, but withdrawn in 1986 in the United States when it was replaced by a vaccine that was produced in yeast. This vaccine is still in use today. By 2003 150 countries were using it and the incidence of the disease in the United States in young people had decreased by 95%. Hilleman considered his work on this vaccine to be his single greatest achievement. Hilleman was one of the early vaccine pioneers to warn about the possibility that simian viruses might contaminate vaccines. The best-known of these viruses became SV40, a viral contaminant of the polio vaccine, whose discovery led to the recall of Salk's vaccine in 1961 and its replacement with Albert Sabin's oral vaccine. The contamination actually occurred in both vaccines at very low levels, but because the oral vaccine was ingested rather than injected, it did not result in infections or any harm. 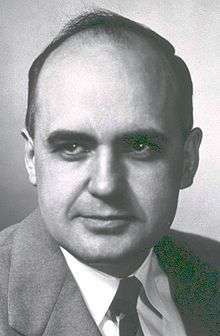 Hilleman served on numerous national and international advisory boards and committees, academic, governmental and private, including the National Institutes of Health's Office of AIDS Research Program Evaluation and the Advisory Committee on Immunization Practices of the National Immunization Program. In his later life, Hilleman was an adviser to the World Health Organization. He retired as senior vice president of the Merck Research Labs in 1984 at the mandatory retirement age of 65. He then directed the newly created Merck Institute for Vaccinology where he worked for the next twenty years. At the time of his death on April 11, 2005, at the age of 85, Hilleman was Adjunct Professor of Pediatrics at the University of Pennsylvania in Philadelphia. Hilleman was an elected member of the U.S. National Academy of Science, the Institute of Medicine, the American Academy of Arts and Sciences, and the American Philosophical Society. In 1988 President Ronald Reagan presented him with the National Medal of Science, the nation's highest scientific honor. He received the Prince Mahidol Award from the King of Thailand for the advancement of public health, as well as a special lifetime achievement award from the World Health Organization, the Mary Woodard Lasker Award for Public Service and the Sabin Gold Medal and Lifetime Achievement Awards. In March 2005 the University of Pennsylvania School of Medicine's Department of Pediatrics and The Children's Hospital of Philadelphia, in collaboration with The Merck Company Foundation, announced the creation of The Maurice R. Hilleman Chair in Vaccinology. Robert Gallo, co-discoverer of the virus that causes AIDS, once said "If I had to name a person who has done more for the benefit of human health, with less recognition than anyone else, it would be Maurice Hilleman. Maurice should be recognized as the most successful vaccinologist in history." After Hilleman's death Ralph Nader wrote, "Yet almost no one knew about him, saw him on television, or read about him in newspapers or magazines. His anonymity, in comparison with Madonna, Michael Jackson, Jose Canseco, or an assortment of grade B actors, tells something about our society's and media's concepts of celebrity; much less of the heroic." In 2007, Paul Offit published a biography of Hilleman, entitled Vaccinated: One Man's Quest to Defeat the World's Deadliest Diseases. On October 15, 2008, Merck named its Durham, North Carolina vaccine manufacturing facility in memory of Hilleman. In 2016, Montana State University dedicated a series of scholarships in memory of its alumni Hilleman, called the Hilleman Scholars Program, for incoming students who " commit to work at their education beyond ordinary expectations and help future scholars that come after them.”. The documentary film, "HILLEMAN - A Perilous Quest to Save the World's Children", chronicling Hilleman's life and career, was released in 2016 by Medical History Pictures, Inc.
1 2 3 4 5 6 7 Offit PA (2007). Vaccinated: One Man's Quest to Defeat the World's Deadliest Diseases. Washington, DC: Smithsonian. ISBN 0-06-122796-X. 1 2 3 Maugh, Thomas H. II (2005-04-13). "Maurice R. Hilleman, 85; Scientist Developed Many Vaccines That Saved Millions of Lives". Los Angeles Times. Retrieved 2010-10-20. ↑ Sullivan P (2005-04-13). "Maurice R. Hilleman dies; created vaccines". Washington Post. Retrieved 2009-11-13. ↑ Johnson LA (2005-04-12). "Maurice Hilleman, at 85; was pioneer in vaccine research". Associated Press. Retrieved 2009-11-13. ↑ "Maurice Hilleman". The Independent. 20 April 2005. Retrieved 27 May 2012. ↑ "Maurice Hilleman". Retrieved 5 June 2015. ↑ Bookchin D, Schumacher J (2004). The Virus and the Vaccine. St. Martin's Press. pp. 94–98. ISBN 0-312-27872-1. ↑ Nader R (2005-04-16). "Scientists or celebrities?". Counterpunch. Retrieved 2009-11-13. ↑ "Merck & Co., Inc., dedicates Durham vaccine manufacturing facility in honor of Merck scientist Maurice R. Hilleman, Ph.D." (Press release). Merck & Co. 2008-10-15. ↑ "Hilleman Scholars Program | Montana State University". www.montana.edu. Retrieved 9 October 2016. ↑ "MSU inaugurates Hilleman Scholars Program for Montanans in honor of world's most famous vaccinologist". Montana State University. Retrieved 9 October 2016.